At this time of year, some property investors already start to look ahead to the next. We’re not surprised to see that a lot of them have the same questions in mind, like will it be a seller’s market or a buyer’s market in 2019? Will home prices keep rising or are they cooling down? What about supply and demand? And so on. While no one can accurately predict the future of the real estate investing industry, we can make a few housing market predictions. Here are the top trends that real estate experts, analysts, and economists expect to come in the 2019 US housing market. When studying a real estate market to forecast where it’s going, the first thing you’d look at is the market’s economy. Economists believe the US economy is on its strongest roll ever. Some of the main factors contributing to this healthy economy are the return of high paying jobs, new career opportunities, high employment, lower taxes, and hopefully soon, higher wages. If you take a look at these and other key data on the US economy for the next 6 years, you’ll see a positive picture. This, in turn, will stimulate the real estate market – when the economy is good, people want to buy homes! The strong economy and similarly strong job market should increase the demand from homebuyers. 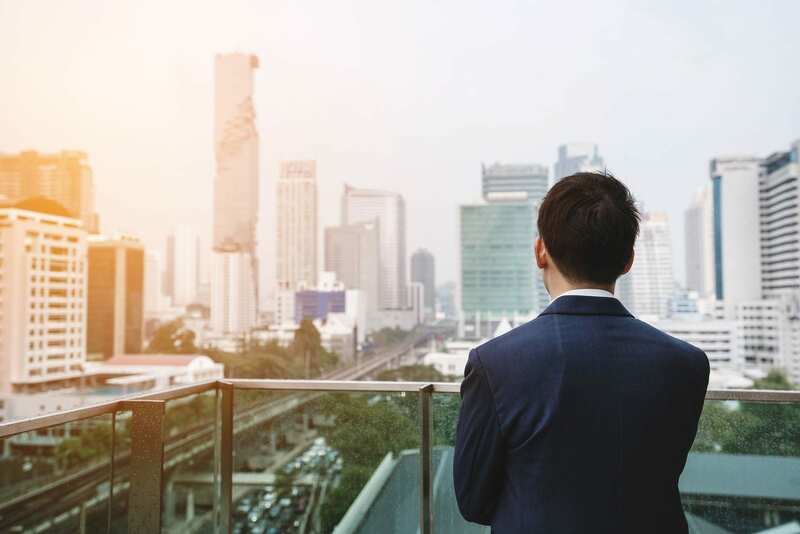 Another real estate market trend you can expect in 2019 is the growing number of foreign property investors. America has always had a great attitude toward risk and business growth. Now, the growing economy and housing market are inviting more foreign property investors from countries like China, Singapore, and Canada to buy investment properties in the country. The US real estate market has witnessed strong demand and short inventory of homes this year, making it a seller’s market. In 2019, experts believe that new housing construction will start to rise. Cities with the most construction include Dallas, Houston, and Austin, reflecting Texas real estate market’s strong recovery. However, will this new construction keep up with demand? Most housing market predictions claim that this new construction of homes is recovering slowly, meaning there’s not going to be enough homes to satisfy demand from real estate buyers. Thus, the US real estate market trends in 2019 will probably continue to suffer from supply shortages in some parts of the country. Are you a real estate investor looking for an investment property to buy? Our investment property calculator will help you find the best ones in any city/neighborhood in the United States using real estate data and analytics. There’s a popular myth that millennials are a generation of renters. However, looking back at the real estate market trends throughout this year, millennials are actually interested in homeownership and are buying more homes than you think! Millennials are a big demographic group and as they’re getting older and settling down, they’re getting into their home buying years. In addition, when millennials integrate further into the workforce with lasting and high paying careers, they become more comfortable with taking out mortgages. Persistent demand from millennial buyers can be seen across the country from New York, Miami, to Los Angeles. Millennial demand is one reason making 2019 a good year to sell your home. If you’re planning on buying an investment property, on the other hand, I recommend reading this: The Best Cities to Invest in Real Estate to Rent Out to Millennial Tenants. If you’ve been keeping up with the real estate market trends from the beginning of the year, you’ll know that mortgage rates have been steadily rising throughout the year. Now, mortgage rates are higher than they were at the start of 2018. For much of 2017, the average rate for a 30-year fixed mortgage hovered just below 4%. Then, at the start of 2018, it began a steady upward climb and by June, it reached 4.57% (Freddie Mac). Clearly, mortgage rates have been increasing. By the beginning of 2019, experts predict mortgage rates will climb even higher. The Mortgage Bankers Association (MBA) has recently updated its long-range forecast, predicting that the average 30-year mortgage rates would rise to 4.9% by the fourth quarter of this year and would reach 5% by the end of 2019! Economists from Freddie Mac predict similar trends as well. What could these housing market predictions lead to in 2019? Assuming that this actually happens, property investors could see a decline in home sales in the coming months. This, nonetheless, won’t have a major impact on real estate sales. If you’re wondering when to buy a house, we say now is the best time! Moving on with the real estate market trends to come in 2019, let’s look at home prices. According to Zillow, the median home price in the US rose by 8.1% over the past year. Given the current (imbalanced) supply and demand situation, it appears that this ongoing trend of rising home prices will continue in most US cities throughout 2019. In a forecast issued in July, Zillow predicted that prices will rise by 6.5% in the upcoming 12 months. Increasing home prices will, of course, vary by region. Some cities across the US real estate market might experience a large jump in home prices, while others could see relatively small gains. It all falls back to the supply of properties and demand of homebuyers in the city. Cities with stronger demand, like New York, Miami, Los Angeles, Seattle, Houston, and San Francisco will obviously see the biggest gains. This is good news for sellers, but it presents a problem for homebuyers – especially millennials – who can’t afford such high prices. For a real estate investor already owning an investment property in one of these cities, putting the property on the market for rent is a smart investment decision. When home prices climb up, so will rental rates because people settle for renting when they can’t afford to buy a house. Thus, with a rental property, you could make a pretty attractive rental income in 2019! 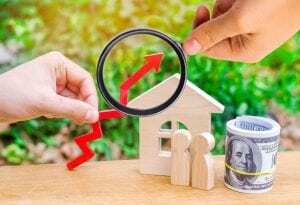 US Housing Market Predictions: Will 2019 be a Seller’s Market or a Buyer’s Market? Given the aforementioned real estate market trends to come in 2019, it might sound crazy to suggest a buyer’s market is on the horizon. New home construction may suggest that it’s a good time to buy an investment property. Nonetheless, the strong economy, growing demand, and rising mortgage rates and home prices all indicate that the US real estate market will remain a seller’s market in the coming year. What are your personal housing market predictions? If you’re hunting for investment properties for sale, using advanced search tools is the wise thing to do. A property finder and an investment property calculator, for example, are the perfect duo for a real estate buyer in a seller’s market. Wondering where you can get your hands on these investment tools? You’ve come to the right place – Mashvisor helps property investors find the best investment properties in their city/neighborhood of choice using a number of tools and data analytics! 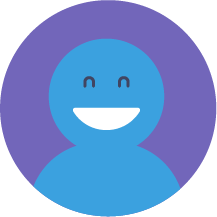 To learn more about our product, schedule a demo by clicking here. Disclaimer: This article attempts to answer the question “What can property investors expect to come in 2019?” These housing market predictions are the result of an educated and thorough research and are only intended for educational purposes. How Do You Find a Buyer’s Market in the US Housing Market in 2018? What’s the Deal with the Current Housing Market in the US?